I love the decal! I viewed the picture from my cellphone and the truck decal stuck out immediately. Grump FORD is for Found On Road Dead and the Off Road is in case it's off the road when it does die ..
Total millage per gallon will be interesting to see in May to Michigan and back afterwards I'll try to remember and post results!! 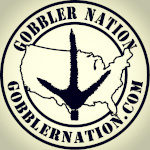 Well,I'm putting my gobbler nation window sticker on my jeep today.I figure when I pull in and park,any birds around will see it next to my nwtf sticker and just totally give up and say,a heck of a dedicated hunter is after us.to resist is futile. i can't believe the ford isn't leaning to the side the decals on. Let me know if it does and I'll balance it and put another on the other side! !